Cooking’s fun but only when you have the right equipment and materials to work with. We often take our cooking tools for granted and just realize how comfortable we’ve become to using them when we’re at somebody else’s kitchen. Since the kitchen serves the same purpose for everyone’s homes, specific cooking tools that will remain essential for every kitchen. A ladle is perfect for serving up portions of soup without worrying about the hot liquid splashing and burning anyone. It’s important to look for a ladle that has a larger bowl to make it easy to portion out big scoops all at once. When you choose a ladle that has a bent handle, then you will be able to easily hook it to the lip of the pot without having to worry about it accidentally falling in. Locking tongs are very useful to help you grab onto hot food and move it to a new location without accidentally burning yourself or dropping the food. When you choose locking tongs, then you will be able to store them in a closed and locked position so that they don’t take up a lot of space in your drawer or your utensil jar. 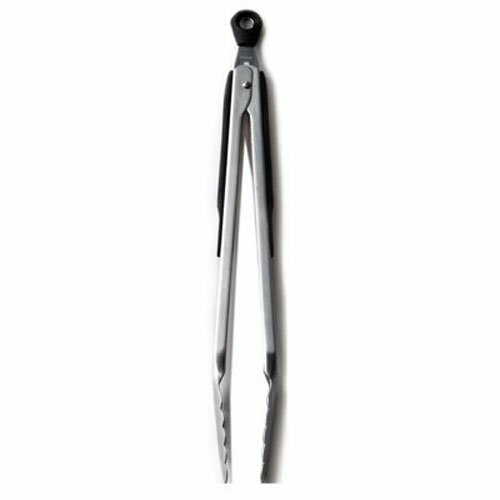 Choose a pair that has scalloped tips to be able to easily grab onto food and make sure that they have non slip handles. They are great for turning everything from meat to vegetables. Also sometimes known as a “fish turner” or “fish spatula,” these metal spatulas are significantly thinner than spatulas that are made out of plastic. They feature an offset blade that will make it very easy to work the spatula under thin and delicate items like fish or cookies without accidentally damaging them. 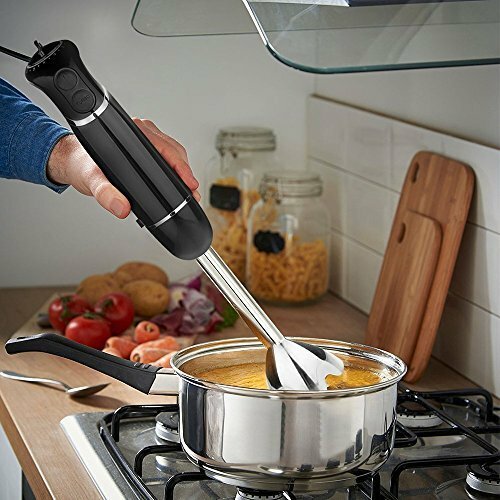 Look for one that has a longer blade so that you don’t have to get your hands too close to the hot food to turn it, which can cause you to burn yourself, especially when flipping something in grease. While you can buy rubber spatulas that are used to turn foods on the stove, in this case you want to buy a scraper that will make it easy for you to remove the last bits of cookie dough from your bowl or a condiment from the jar. Make sure that you choose one that is flexible enough to be able to bend into corners but durable enough to not crack or lose its shape. Also consider silicone, as this material is able to withstand high heat without being damaged and can be used on the stove. If you need a heavy-duty spatula that is ideal for smashing down burgers and flipping heavy steaks on your grill pan then you need to invest in a stiff spatula. While these have a thin blade that may seem reminiscent of a fish turner, they are incredibly strong and usually have a wide surface area, as well. You won’t have any problems pulling a pizza out of the oven or making sure that your hamburger is smashed to your specifications when you invest in this handy tool. These small spatulas are most commonly used to decorate cakes, but that doesn’t meant that they can’t be used in other situations, as well. They are ideal for gently removing food that has stuck to your skillet without damaging it or causing it to break apart. They are also perfect if you are interested in improving your plating presentation and want to ensure that you can carefully move food around on the plate. They offer perfect control over small items and are ideal for careful maneuvering. A slotted spoon is a great way to drain grease or cooking liquid from food that you are making so that you can transfer it to another pan or dish. While some people prefer to use these as serving spoons, they are great for cooking, as they will help you to limit or control the amount of liquid that moves from one dish to another. Make sure that if you are going to be using yours in hot pots and liquids, it has a long enough handle that you do not risk getting burned when using your slotted spoon. Trying to scoop hard ice cream with a regular spoon will result in your becoming very frustrated and having a bent spoon. Instead, when you invest in a proper ice cream scoop, you will be able to scoop both hard and soft ice cream with ease. Look for one with a trigger to make releasing your ice cream easy. A great whisk makes it easy to whip air into different items, such as heavy cream or egg whites. Look for a whisk that has a solid handle so that bits of food and liquid don’t get stuck inside the handle and affect future food that you make. Also consider buying one with thinner wires so that it is easy to use, and it will be well-balanced when you are making lighter food such as whipped cream. 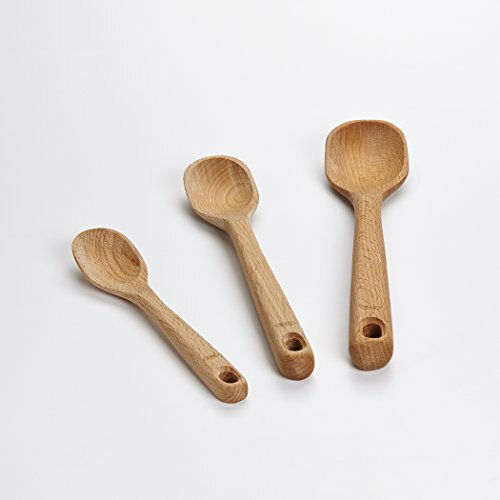 Wooden spoons are a workhorse in the kitchen and can be used for everything from stirring soup on the stove to mixing up a batch of cookies or brownies. It’s a good idea to have a number of them available for use in your kitchen, as you are likely to need more than one at a time. One of the great things about wooden spoons is that they will not react with your food and won’t introduce a metallic flavor to anything that you are making so you don’t need to worry about them compromising your final dish. 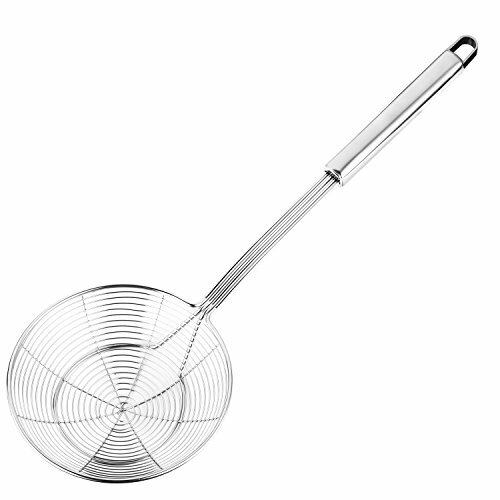 While slotted spoons are preferred by a lot of chefs, spider skimmers accomplish the same thing more quickly and are usually easier for people to use. That’s because they are larger and have plenty of space for water to quickly drain out so that you don’t transfer a lot of water to another dish. The open mesh construction means that you won’t create a lot of disturbance or turbulence in the liquid, which makes it easy to fish out food particles and bits, even when the water is boiling. They often have a piece of wood on the end of the handle which will help prevent your hand from getting too hot when you are using them. Serving spoons are important if you are going to be setting the table for a meal and want everyone to be able to serve themselves from your dishes. Unlike flatware that is used for dining, serving spoons are significantly larger so that you can spoon a good portion of food onto your plate. They also typically have longer handles so that you have more control over the food and can easily serve both yourself and other diners without having to reach across everyone at the table. While many people did not grow up using chopsticks in the kitchen and, therefore, do not understand the benefit of these simple tools, when you need great precision and want to be gentle handling your food, then you need to reach for a pair of chopsticks, as they are ideal for these purposes. Tongs are great for moving large foods like a chicken breast or rack of ribs, but chopsticks are ideal for gently moving thinner food, such as asparagus or squash blossoms. They are also great for picking a piece of pasta out of the water to see if it is done. Make sure that the chopsticks you choose can stand up to high heat. When scooping out batter or dough, you can be certain that everything you bake will be the same size when you use a portion scoop. These come in various sizes, so you can ensure uniformity in your baked goods, and they generally have a trigger to ensure easy release. A cutting board is necessary if you are going to be doing any food preparation at all in your kitchen, as it acts as a surface for cutting and prevents you from accidentally damaging your countertops. Rather than using your sharp knives on your countertops and causing irreparable damage, when you opt for a cutting board you can control not only where you will be cutting, but also help to decrease the chance of cross-contamination. It’s a good idea to have a number of different cutting boards in your kitchen so that you can decrease the chance of cross-contamination, including one only for meat and one specifically for fruits and vegetables. This will likely be your go-to knife and allow you to accomplish most of your cutting and chopping in the kitchen without any problems. These have a very sturdy and wide blade that is durable enough to handle cutting through any food that you have. They are perfect for slicing, chopping, mincing, julienning, and dicing. Choose a blade that is between eight and nine inches long and allows you to perform a gentle rocking motion so that you will be able to easily cut and prep for meals. These knives have very long blades that are sharp and serrated, and they are ideal for cutting through bread without causing a huge mess or mangling the loaf. They can cut through tough crusts without causing the inside of the bread to get squished. While some people think that these knives are only useful for cutting loaves of bread, they are also ideal for handling citrus and tomatoes, as the serrated edge is able to cut through the skin of the fruit and easily slice through it without causing the food to become compressed or damaged. These knives generally have very small blades that are between two and four inches long, which means that you will have a lot of control over the knife when you are cutting. 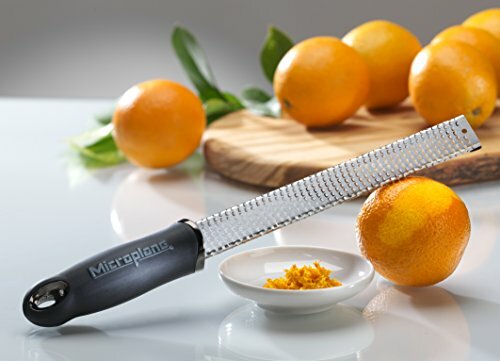 They are incredibly precise and perfect for dicing smaller items, trimming food, slicing, and peeling. A paring knife can also be used to easily core a tomato or devein shrimp, thanks to its small, yet sharp, blade. When you are going to be carving and serving a large piece of meat and want to make sure that you are able to impress all of your guests, then you will want to reach for a carving knife. They have very long blades that are incredibly slender and able to easily and quickly slice through even tough meat without problems. Opt for a carving knife with a pointed tip if you are going to be cutting poultry or roasted meats, and choose one that has a rounded tip if you are going to be cutting salmon or ham. Carving knives with pointed tips are ideal for navigating around bones. This is a Japanese knife that is perfect for assisting with any kind of prep work that you need to complete before you begin to cook. These knives have a straight blade that does not have any curve to it, which means that it is very easy to chop through items quickly with this knife. It’s best for quickly and precisely slicing, dicing, and mincing. Every kitchen can benefit from having a strong and durable pair of kitchen shears. Unlike regular scissors, which are not strong enough to stand up to the demands and rigors of a kitchen, shears are incredibly strong and versatile. Look for kitchen shears that can be pulled apart when they are dirty so that you can ensure that they are as clean as possible when you are done using them. Due to their strong blades and comfortable handles, they are great for trimming poultry, snipping herbs, shaping pastry, and even cutting through twine or parchment paper. A small zester is necessary if you want to be able to include fresh citrus zest in any of your dishes. They are able to quickly and easily remove zest from lemons, oranges, and other citrus without accidentally removing any of the bitter pith, as well. Additionally, these kitchen tools are ideal for shaving off wisps of parmesan cheese and even grating nutmeg. They can be used for grating garlic as well if you are uncomfortable trying to mince it by hand or do not have a garlic press, but it’s important to make sure that you don’t accidentally nick your fingers when doing this since the cloves are so small. A box grater is necessary if you are going to be doing any grating in your kitchen. These usually come with either four or six sides to choose from when you want to zest, shred, dust, and shave. Make sure that you have a grater with a sturdy handle as you will have to press down hard to ensure that it doesn’t move when you are grating harder foods like a sweet potato. They make it easy to quickly grate fresh cheese for pizza or to grate summer vegetables for a frittata. There are a number of different kinds of vegetable peelers that you can choose from, but most likely you will want to buy one that is shaped like a Y. These peelers are significantly easier for you to grip and will reduce the chance of accidentally cutting yourself when you are peeling harder or slippery foods. A Y-shaped peeler is also easy to clean, and since the blade doesn’t come lose, you won’t have to worry about accidentally picking it up at a later time and injuring yourself. If you want to make sure that your kitchen knives are in the best shape and condition possible, then you will need to sharpen them on a regular basis. While some people prefer to take their knives to a local store or professional for regular sharpening, being able to complete this task on your own will give you control over how sharp your knives are at all times and decrease the likelihood that you will be injured trying to use a dull knife. There are a number of different types of rolling pins available on the market, and if you are going to be doing any baking then you will need to make sure that you invest in the right one for your needs. The two main types are rods and rollers. Rods are also called “French rolling pins” and do not have handles on the end. Rather, they are generally tapered towards the end. Rollers have a cylinder of wood that has a handle on either end for you to push the pin back and forth. Rods are easier on the wrists and hands, but will result in you warming up your dough with heat from your hands. Rollers result in uneven pressure when you are using them, but if you are worried about keeping your dough nice and cold then they are a good choice. You also need to consider the materials, the most common of which are wood, marble, stainless steel, glass, and nonstick. Any kind of guesswork when cooking or baking can result in a dish that doesn’t turn out the way that you want it to, or it can be completely inedible. Rather than risking this, when you invest in a quality digital scale for the kitchen, you will be able to weigh out all of your ingredients to ensure that your recipe will work the way that it is written. This is especially important when you are going to be baking, as using measuring cups and spoons to measure ingredients can result in you having way too much or too little and will ruin the whole recipe. Colanders are important for draining water off of food that you have been cooking, such as pasta or blanched vegetables. It’s a good idea to opt for a colander that has feet that will hold it up off of the surface of the sink so that you do not have any food sitting in a puddle while it is draining. If you do not have a flour sifter in your kitchen then you can easily use a smaller colander to complete this task as well. Having the right size bowls for mixing will ensure that you do not get frustrated when working on a recipe or make a huge mess because you have chosen a bowl that is too small for your needs. Rather than trying to buy the right bowls that you need one at a time, which can be frustrating and rather difficult, when you invest in a set of nesting bowls you can be certain that you will have all of the bowls that you need. Another perk of buying nesting bowls is that they won’t take up a lot of storage room in your cupboards. Wet measuring cups are perfect for measuring out liquid ingredients such as water or milk. They make it easy to see exactly how much you have measured out and also make it easy to transfer your liquid to the stove or mixing bowl. When you opt for wet measuring cups you won’t have to worry about relying on surface tension to keep your liquid from spilling. Additionally, most come either with a spout or are flexible so that you can control where and how the liquid pours. Using wet measuring cups to measure out dry ingredients is incredibly difficult and frustrating, which is why you will want to invest in a set of measuring cups specifically for dry ingredients. These are to be used when measuring flour, sugar, or other ingredients like dry oats and are sturdy enough to be pushed into a bag and then scooped through the ingredients without bending out of shape. 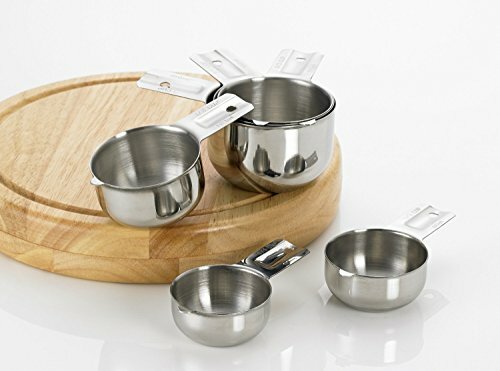 Metal dry measuring cups are ideal because they will last for a very long time and won’t be damaged by high temperatures the way that plastic measuring cups will. For measuring out smaller amounts, you will need to invest in a quality set of measuring spoons. Remember that ones with longer handles will be much easier to get in and out of a jar so that you can scoop out the right amount of a spice. While they come in many different shapes and some people think that novelty shapes like hearts or stars are cute, the easiest to use are oval measuring spoons. These will fit easily into spice jars and do not have any sharp corners that will make it difficult to evenly and accurately measure out what you need. If you do a lot of cooking with garlic, then you will want to invest in a garlic press. These small tools are very handy and will keep you from having to pull out a knife and a cutting board each time you want to add additional flavor to your dish. They can even be used on unpeeled cloves so that your prep work is sped up as much as possible. Look for one that is dishwasher safe so that you don’t have to spend a long time trying to remove the skin of the garlic from the press. 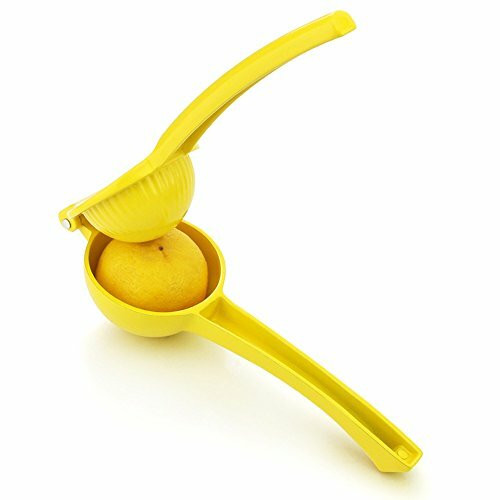 Juicing fresh citrus is a great way to add flavor to your meals, and, while some people prefer a citrus reamer, a press is a great way to get all of the juice that you want without having to worry about whether or not you are also going to have a lot of seeds in your juice. They make it easy to finish a dish with a splash of fresh juice and are ideal if you love to cook with citrus. Some people want their mashed potatoes to be completely smooth, but having some texture to them keeps them interesting. If you want your potatoes to be a little chunky then skip the hand mixer when you are mashing them and reach for a potato masher instead. You will want to look for one that has a curved head, as this will make it very easy to mash all of the potatoes that may be pressed up around the edge of your bowl or your pot. Standard can openers work by clamping to the top of the can and then leaving a very sharp edge behind when you have removed the lid. While there is nothing wrong with this, if you need to open a large number of cans or are worried about someone in your family becoming injured on the sharp edges then you will want to opt for a higher quality opener. These will cut the top of the can completely off, creating a top that will fit back onto the can to protect anything you didn’t use and prevent a sharp edge from being formed. No matter how comfortable you are in the kitchen or how many times you have cooked or baked a specific dish, if you don’t use a timer to keep an eye on how long your food has been cooking, then you are in danger of accidentally burning it. This is very easy to do, but a timer is a great way to ensure that you stay on task and remember that you have food in the oven or on the stove. Make sure that you buy a timer that is loud enough that you will be able to hear when it goes off from anywhere in your home. Checking the temperature of the food that you’re making is the best way to ensure that you do not accidentally make someone sick by undercooking the food or dry out your food accidentally by overcooking. An instant-read thermometer will ensure that you can tell the temperature of your food without letting out a lot of the heat of your oven or grill. They are useful not only when you are cooking or grilling meat and need to ensure that it has been cooked all the way through, but also when you bake bread. Opening wine easily will allow you to add a lot of flavor to your meals and ensure that you don’t have bits of cork floating in the wine sauce that you make. A great corkscrew is small enough that it doesn’t take up a lot of storage space in your kitchen and can also be slipped into the pocket of your apron if you want to bring it to the table to open a bottle of wine there. Look for one that will fold down into itself so that you don’t accidentally poke yourself when reaching into a drawer. There is nothing like freshly ground pepper when you want to really impress your dinner guests and ensure that you the most flavor out of this space. While ground pepper is great for baking, as the flakes are small and don’t add texture to the food that you’re making, if you want to impress your guests and really get the flavor of your pepper then you will want to use a peppermill. These make it easy to grind fresh peppercorns and to release their flavor and their aroma either when you are cooking or at the table. Peppermills can either be battery operated or have a crank on the side or top so that you grind the pepper yourself, depending on whether or not you want the process to be automated. A fresh salad is a welcome addition to any meal, but if you are going to wash the leaves yourself to ensure that they are not dirty, then you need to be able to quickly and easily remove the residual water. If you do not then you will have to deal with soggy lettuce leaves, and these are not very appetizing. A salad spinner features an inner bowl that has slates in the side so that the water can be spun off of the leaves and then collected in an outer bowl. This is much faster and easier than trying to dry your lettuce leaves with a towel and ensures that they are not crushed or damaged. No matter how much room you have in your drawers for all of your cooking utensils, keeping them close to hand when you are by the stove or oven is ideal so that you can easily reach exactly what you need without having to dig through a drawer. This may be the only thing that saves you from accidentally burning your food, which is why having a utensil holder is good idea. Make sure that it is wide enough to hold all of your spoons and spatulas and that the opening is big enough so that you can easily get items in and out without knocking other utensils on the counter or floor. 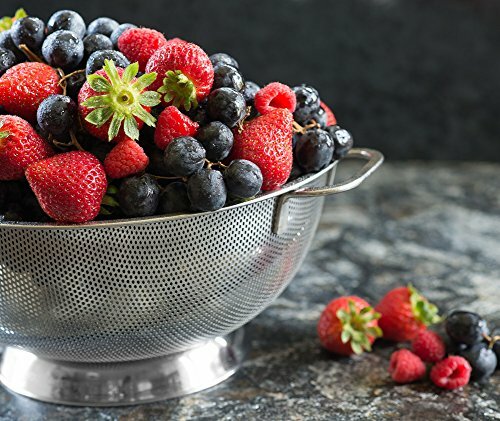 A handheld strainer is similar in function to a colander, but is typically much smaller and has a handle so that you do not get your hands into hot water. They are ideal for being able to strain small amounts of liquid without getting out the larger colander and making it messy. 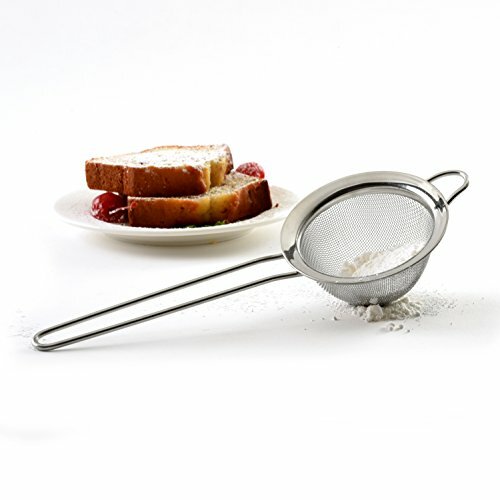 Reach for your handheld strainer when you want to strain fresh leaves out of a pot of tea or when you have squeezed citrus and there are seeds floating in the juice, as this small tool will make it easy to catch and remove them. There are few things that will improve the taste and aroma of your meals quite like fresh herbs and spices will, and, to ensure that they really are as fresh as possible, then you will want to grind them on your own. Using a mortar and pestle makes it easy to grind both small and larger amounts of fresh spices and seeds into a powder that you can easily cook with. Look for one that can be washed in the sink or easily wiped clean so that you don’t have to deal with the unwanted transfer of flavors from dish to dish. When baking, there are certain steps that you can take to help ensure that your baked goods turn out the way that you want, and one thing that you can to is to sift your flour. While this may seem like a small step, it is a great way to remove any lumps or stuck-together bits of flour from your ingredients. It’s also smart to use a flour sifter when you are using confectioners sugar or cocoa powder, as these ingredients tend to clump as well. You won’t have to worry about chunks of flour in your brownies or gravy when you use this tool. A sauté pan is necessary when you are going to be stir frying vegetables and meat or when you want to braise any dishes. They are often what home cooks reach for in the morning when frying eggs or making pancakes, as well. To ensure that you get the most use out of this pan, you will want to opt for one that has a lid. Also consider the pros and cons of stainless steel or non-stick for your personal use. To be able to easily put your pan from the stove into the oven, and then carry it to the table for serving, you will want to opt for a skillet that is made from cast iron. Over time, and when seasoned correctly, these skillets will become non-stick so that you don’t have to worry about burning your food or having it become stuck to the surface. They come in a wide variety of sizes, so it’s important to consider how many people you will be cooking for and which size you will benefit from the most. A stock pot is a very tall pot that is used for making soups and stocks. While they are not ideal for heating up single servings of food on the stove, they are necessary if you are going to be simmering your meal all day long. Significantly smaller than a stock pot, a saucepan is necessary for making sauces, hard boiling eggs, or heating up leftovers. To ensure that your food doesn’t dry out when on the stove, you will want to choose one that comes with a lid to help hold in moisture. A dutch oven has very thick walls and is a cooking pot that can be used both on the stove as well as in the oven. Thanks to their tight-fitting lids, they are ideal for braising food and ensuring that it does not dry out when cooking. Sheet pans are indispensable tools for the kitchen, and they can be used for everything from baking cookies to roasting a chicken. They come in a number of different sizes, and, because they are relatively inexpensive, it is a good idea to go ahead and purchase a few immediately so that you do not run out when trying to bake. Double boilers are imperative if you are going to be melting chocolate or want to slowly heat something without bringing it to a boil. 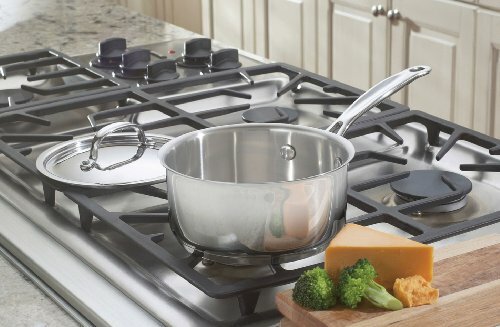 While it is possible to improvise your own double boiler by using a pot and a bowl that will fit on the top, using a double boiler that was designed specifically for this purpose is a better idea. This ensures that there will be very little energy loss through steam so you do not have to keep refilling the water. This is a large baking dish and a useful tool for the kitchen as it can be used to make and bake casseroles, brownies, and other foods. Choose one with thick walls so that it will heat evenly, and make sure that you can put it in the dishwasher when it is dirty to decrease the amount of time that you have to spend cleaning. 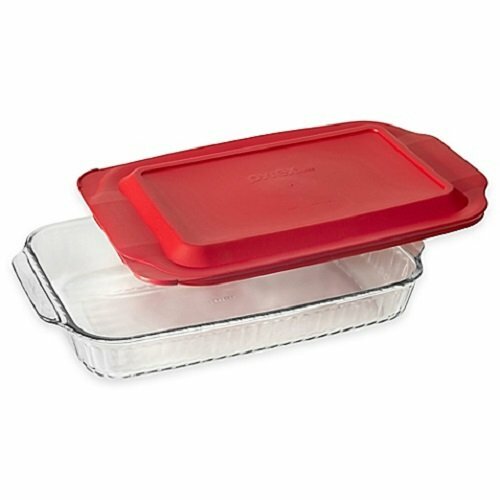 Choose between metal and glass to find the best baking dish for your needs. 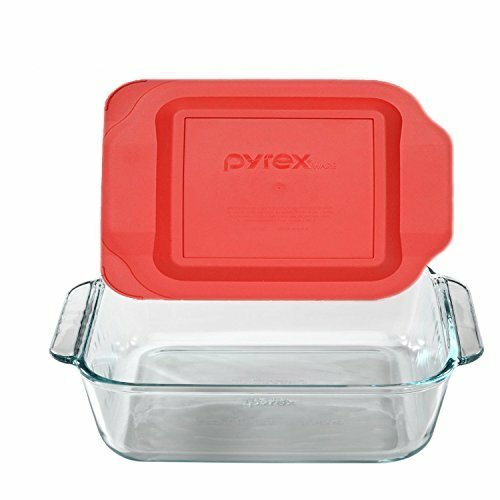 Much smaller than a traditional 9 x 13 baking dish, an 8 x 8 is a very handy size to have for making smaller amounts of food. Many recipes call for this size and so having one on hand makes cooking and baking fast and easy. They are available in both metal and glass, so it is up to you to choose the material that will work best for your family. Glass heats evenly, while metal tends to have hot spots. A grill pan allows you to enjoy the char and grill lines of having your food cooked on an outside grill without having to stand out in bad weather and do it yourself. They often can be placed both on the stove and in the oven so that you can get the most use out of this pan. 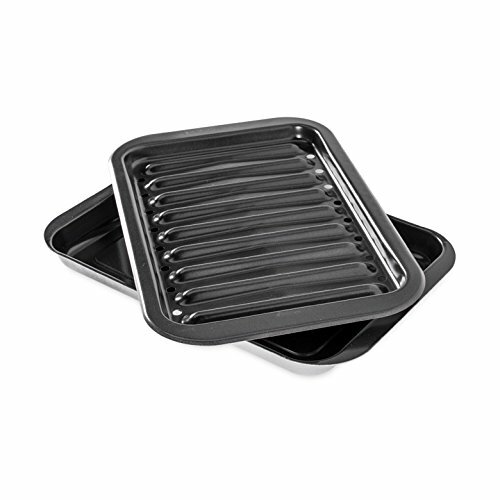 Another useful type of pan that will make cooking easy is a broiler pan. This pan is used in the oven and allows your meat to roast, provides air circulation, and will keep the juices released from the meat from spilling all over the oven. The drip pan that catches the juice and drippings from the meat is deep enough that you don’t have to worry about anything spilling, and, generally, they are very easy to clean. Being able to blend your food directly in the container that you were cooking it in will reduce the amount of dishes that you have to wash when the meal is finished and also ensure that you can finish cooking quickly. A stick blender is long and thin, and it is perfect for blending soup in a pot or for making a smoothie in a tall glass. The part of the blender with the blades will easily detach from the handle so that you can wash your stick blender without worrying about catching your fingers on the blades. Food processors are very important to have in the kitchen, and they can do everything from chop and shred vegetables to mix together dough. It’s important to make sure that when you are shopping for this appliance, you buy one that is the right size for your needs and also that comes with all of the necessary attachments that you will want, as this will ensure that you will enjoy using it. Look for one with a feeder tube to add additional ingredients. Hand mixers are very common kitchen tools, and for good reason. They have a number of uses, including mixing up batter for brownies, mashing potatoes, and beating eggs. While traditionally hand mixers only came with one type of attachment, it is more and more common to find ones for sale that offer whisks and other attachments to choose from. Buying a hand mixer with additional attachments will ensure that it is best able to meet your needs and that you can get a lot of use out of this appliance. A stand mixer is a great purchase for anyone who loves to cook and bake and wants to make it as easy as possible to do so. These are large tools that will sit on the counter and can be used to mix and whisk together ingredients. If you want to experiment with new recipes in the kitchen, then it’s a good idea to look for a stand mixer that can accept attachments such as a flour mill and pasta roller so that you really get the most out of your purchase. While a mortar and pestle is a great way to grind fresh spices, if you do not want to perform this task by hand or do not have enough hand strength, then buying a spice grinder is a great idea. 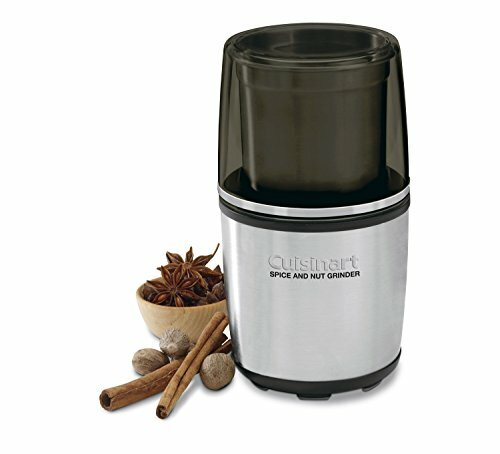 This appliance makes it easy to quickly grind your spices to the desired size. 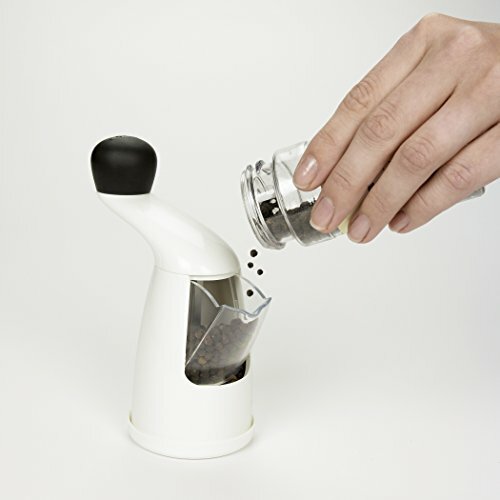 Some homeowners also use their spice grinder as a nut grinder or as a coffee grinder so that they can have fresh coffee every time they brew a pot. If you do choose to do this, then it is important that you wash your grinder before switching between coffee beans and spices to decrease the chance of flavor contamination. Skip the long lines at the coffee shop, and make your own delicious drinks at home when you buy a milk frother. These tools can either be battery operated or you will need to manually froth your milk. They are incredibly easy and fast to use and will quickly froth up your milk. They can then be cleaned by rinsing them under water and giving them a quick scrub with your sponge so that you don’t have to worry about bacteria growth or old milk smelling when you use them again in the future.